Hey, Rory MacDonald. Remember when you beat Tarec Saffiedine in October and UFC president Dana White promised you next dibs at the welterweight title? 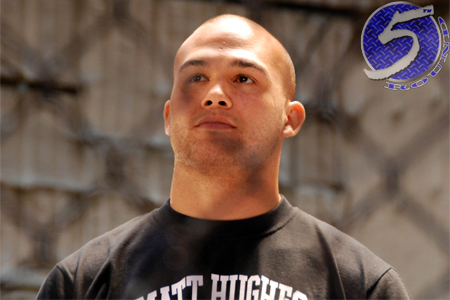 Following Robbie Lawler’s (pictured) controversial split decision victory over Johny Hendricks at UFC 181 on Saturday night to capture the hardware, where MacDonald was sitting front and center taking in the action (and likely taking extensive mental notes), White said MacDonald is no longer a lock for next crack at the crown. White revealed on Fox Sports 1’s post-fight show that he’s open to arranging an instant rubber match between Lawler and Hendricks given how hotly contested their previous two shootouts were. “Yeah, I think that is what we said (MacDonald would get the next title fight), so we’ll see what happens,” White stated. “I don’t know. The trilogy wouldn’t be a bad idea. Hendricks had been sidelined with a torn bicep since beating Lawler in March to capture the vacant welterweight title. Lawler went on to post two impressive wins during that time to earn a rematch. Many pundits dubbed MacDonald the heir apparent in the 170-pound division several years, but the 25-year-old is still waiting to compete in his first championship affair. It doesn’t help his cause that Lawler already beat him 13 months ago.